As America's leading high performance tire and wheel distributor, we're focused on providing high quality wheels and the finest original equipment and replacement tires for every kind of vehicle. 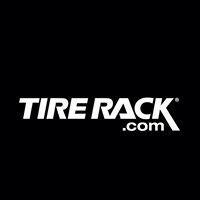 To offer quality performance tires, wheels, suspension and brake products, expert advice, fast shipping and exceptional pricing. Free standard ground shipping on orders of $50 or more is valid only for retail customers in the 48 contiguous states and the District of Columbia. APO/FPO addresses are not eligible for this offer..See site for additional details.